RUBiS Sponsors Antique Auto Show | RUBiS Bahamas Ltd. The Antique Auto Club of The Bahamas’ 32nd Annual Antique Auto Show will take place on Saturday March 23rd, 2019 from 12noon to 6pm at The Arawak Cay Cultural Centre. There will be a wide variety of vintage cars on display, as well as delicious food and games for kids. The event will culminate with a Musical Presentation not seen before at the Club’s Shows. RUBiS Bahamas Limited will support the event as a sponsor and featured vendor. RUBiS will feature its premium Total Lubricants brand of motor oils. Total is the 4th largest oil company in the world and is supported by a strong research and development team devoted to high quality standards. RUBiS is the official distributor of Total Lubricants in The Bahamas. “We have supported the Antique Auto Club’s Annual Show for several years, both as a featured vendor and as a sponsor. The Show is a valuable opportunity for us to share more about our products with our customers. We are happy to know that, each year, proceeds of the event support Bahamian charitable organizations,” said Latia Duncombe, RUBiS Sales & Marketing Manager. 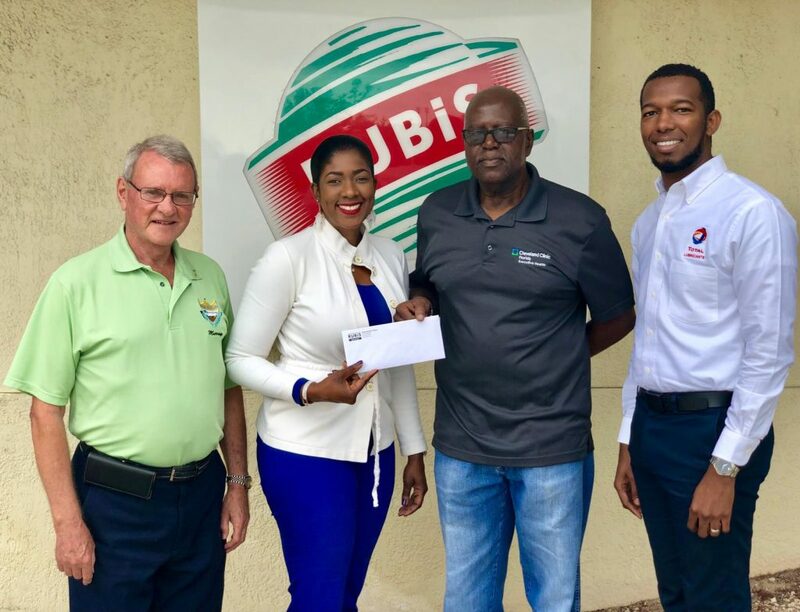 RUBiS Bahamas Ltd presents sponsorship to the Antique Auto Club of The Bahamas. [L-R Murray Forde, Antique Auto Club; Latia Duncombe, RUBiS Sales & Marketing Manager; Freeman Deveaux, President, Antique Auto Club; O’Niel Bain, RUBiS Marketing Programs Coordinator]. © 2019 RUBiS Bahamas Ltd.